Audatex is the largest database in the world for the identification and repair of vehicles in the bodywork and mechatronics field. 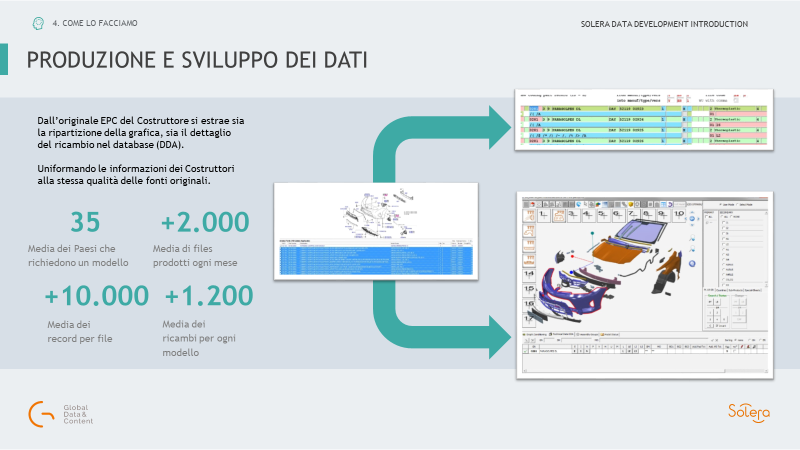 The use of Audatex data in combination with Solera software in Italy means that the claim and repair process is completely automated with considerable savings in time and reduced errors. Audatex data and contents are produced by the Global Data & Content Team, a multidisciplinary and highly qualified group present in 7 countries worldwide. The coverage is more than 5,500 models declined in more than 80,000 versions of passenger, commercial, medium and heavy industrial vehicles and motorcycles. 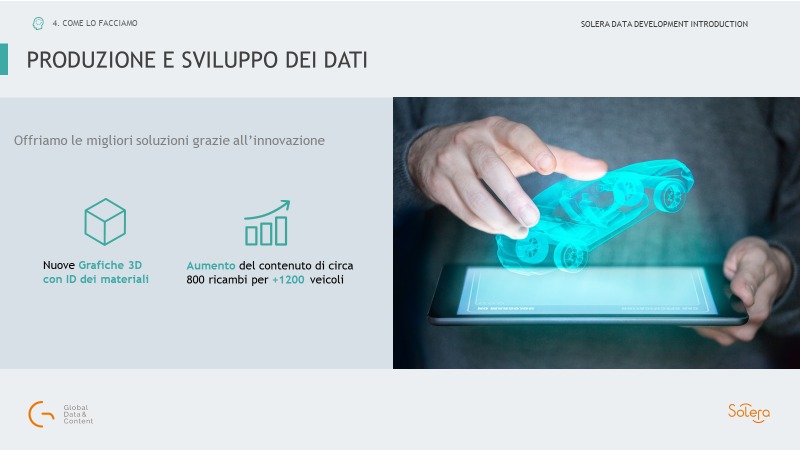 The Global Data & Content Team is unique in terms of expertise, combining a strong IT expertise developed in the insurance market with that of data contents for the repair sector. Click here to visit the Global Data & Content Team website. 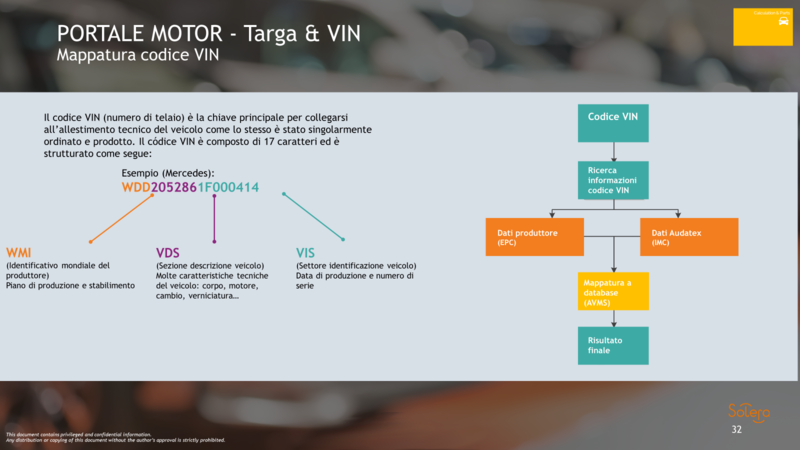 Audatex allows you to identify the vehicle using the chassis manufacturer number. The service can also be combined with the call service to the Ministry of Transport to retrieve the frame through the plate. The search by frame allows you to get all the information related to the complete preparation of the vehicle including optional equipment. The service connects to the repair calculation forms. The mapping of the plate is 1: 1 in 94% of the Italian park and 98% on vehicles covered by the Solera park. The frame cover is dependent on existing contracts with the Manufacturers. The mapping is performed in our data centers and allows the best adherence between vehicle, graphics, repair system and spare parts. 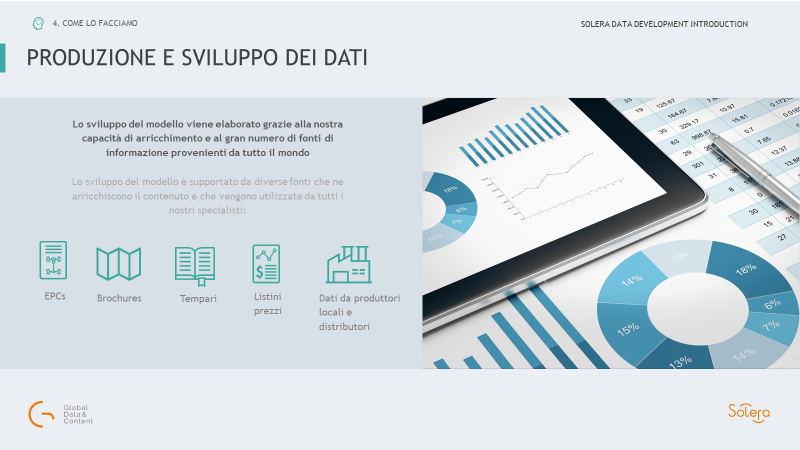 Click here to view the descriptive outline of the typical flow and the data production methodology for Italy. On passenger vehicles, the average penetration of the chassis over a 10-year-old park is around 74%. The Audatex database allows the preparation of the calculation according to the manufacturer’s technical logics. It is available with 2D and 3D vector graphics complete with material groups, spare part numbers and list prices. The Constructor calculation is complete with codes for OE operations and related working criteria and of all mechatronics processes. It also allows the estimation of motorcycles and medium and heavy commercial vehicles. The interfaces are completely online and allow the operator a rapid, controlled and precise authority. The park and the databases produced by the Solera group are developed following a robust and controlled methodology and sources for which contracts of use and possible re-distribution are made. Click here to learn more about the Audatex work methodology. Standard process including new models (or new versions of existing models) that is reviewed twice a year, or special process for requests to cover market or special gaps. 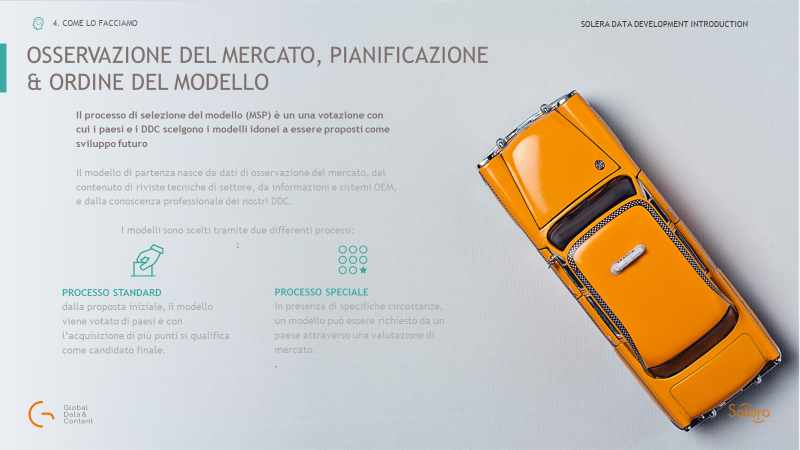 The special localization process in Italy benefits from the worldwide database. In this way you could easily add niche vehicles such as electric ones that do not have a weight on the Italian park but that may have been requested by some other countries. The primary data source is the manufacturer’s EPC from which all the basic vehicle production information is derived. 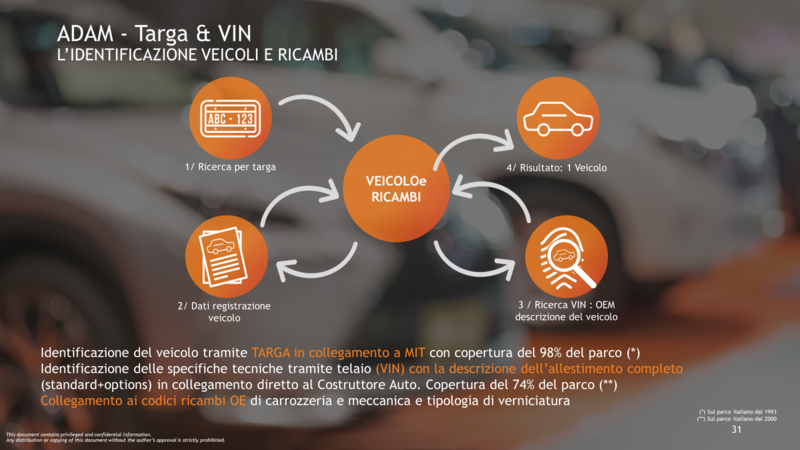 Although in the presence of very different EPCs among manufacturers, each vehicle is standardized according to the same criteria in order to facilitate the final operator and improve the customer experience. The graphics that make up the damage capturing are vector and the 2D or 3D format is provided. The 3D graphics allow you to rotate the graphic canvas in all directions and to appreciate information about the shape of the spare parts in a complete way. They therefore enrich 2D graphics and are mainly used in the field of authority or spare parts choice.